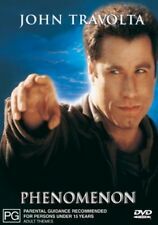 John Travolta stars in this thriller as divorced husband and father Frank Morrison, a boat builder concerned about his son Danny [Matthew O'Leary], a troubled 11-year-old who has shown a tendency to lie since his parents broke up. Trending at AU $5.23eBay determines this price through a machine-learned model of the product's sale prices within the last 90 days. And as he reflects on his life, now Deputy Chief Kennedy frantically coordinates the effort to save him. 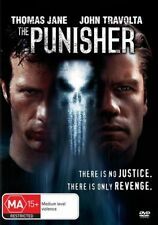 (2004 DVD MOVIE). DVD play perfectly from start to finish. 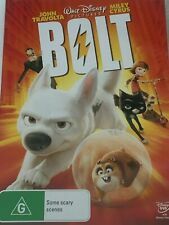 The DVD for this item are in EXCELLENT condition like NEW. Trending at AU $4.57eBay determines this price through a machine-learned model of the product's sale prices within the last 90 days. Domestic Disturbance (DVD, 2002) John Travolta - Free Post! Very good condition Free post! Very good condition Fraying on box cover as per photos Free post! 5 out of 5 stars - Pulp Fiction (DVD, 2005, 2-Disc Set) 10th Anniversary-John Travolta - Free Post! 10 product ratings10 product ratings - Pulp Fiction (DVD, 2005, 2-Disc Set) 10th Anniversary-John Travolta - Free Post! Critics have been panning Wild Hogs in their writings. This movie was filled with laughs and good gags. 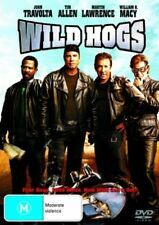 If you want to have a good laugh and enjoy yourself---see Wild Hogs. Written by Glenn D. Harvey. Starring an unbelievably hip all-star cast, including John Travolta, Uma Thurman, Andr 3000, Steven Tyler and The Rock, and bursting with the hottest music in the biz, Be Cool is the wildly hilarious tale about a gangster turned music mogul and what it takes to be number one with a bullet. Starring: John Travolta & Kirstie Alley. Look Who's Talking DVD. Dvd is in good working condition. Be Cool ( 2 Discs ). DVD Regions and their corresponding countries. JOHN TRAVOLTA. DVD IS IN VERY GOOD CONDITION. RATED MA15 . R4 DVD FOR AUSSIE DVD PLAYERS, GOOD CONDITION, WHAT YOU SEE IN PICTURE IS THE EXCACT ITEM. All discs are in mint condition. JOHN TRAVOLTA CHRISTIAN SLATER. BROKEN ARROW - DVD R4. Pre-Owned DVD Grading Guide. We respond very promptly when possible. 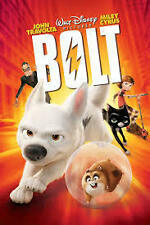 Production began in March 2008, and it was released on June 12, 2009. The Taking of Pelham 123 (DVD, 2009)EX-RENTAL. Disc is in NEAR MINT condition. Case & artwork insert are in VERY GOOD condition. Trending at AU $5.94eBay determines this price through a machine-learned model of the product's sale prices within the last 90 days. VERY GOOD CONDITION. LOTS OF EXTRAS. After saving the life of one of the civilians inside, firefighter Jack Morrison (Joaquin Phoenix) finds himself trapped in a burning warehouse with a broken leg. A Civil Action (DVD, 2002) John Travolta - Justice Has It's Price - Free Post! A Civil Action - DVD Ex rental, very good condition Free post! Frank Morrison (John Travolta) no longer lives with his ex-wife, Susan (Teri Polo), and 12-year-old son, Danny (Matt O'Leary). Susan and Danny now live with Rick Barnes (Vince Vaughn), Susan's new husband. DVD in very good condition - Rated MA15 .